This week will be an important one in the process of shaping the EU in the coming years, with discussions on the bloc's institutional architecture and budget. 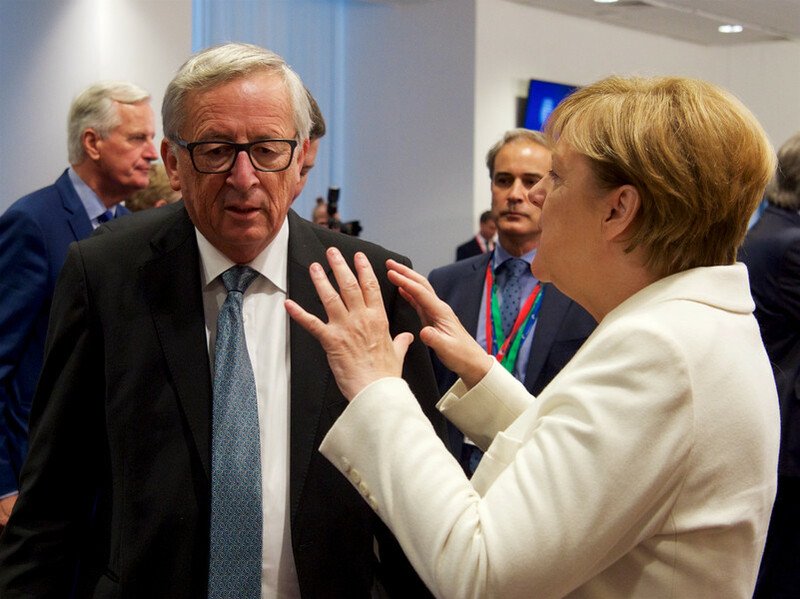 On Friday (23 February), EU leaders will meet in Brussels for an informal summit - a format used in the so-called Leaders' agenda, a decision-taking calendar leading to a post-Brexit summit in Sibiu, Romania, in May 2019. They will hold an initial discussion on the upcoming negotiations for the next EU budget, for after 2020. 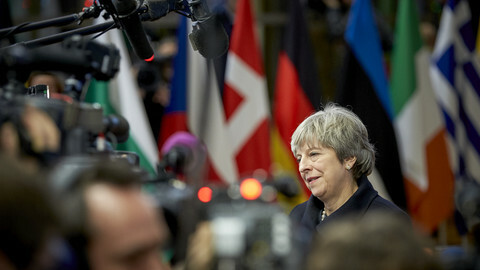 With the UK's exit creating a €10 to €15-billion shortfall and new needs such as migration policies, defence and security or the digital economy, the leaders will have to decide whether they are ready to increase the budget and how they can reshape older policies, like cohesion and agriculture. "A decision has to be taken quickly," European Commission president Jean-Claude Juncker warned on Wednesday (14 February). 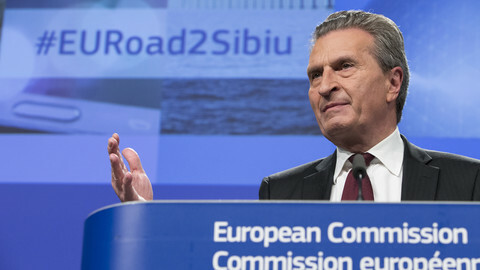 At the same time, his budget commissioner, Guenther Oettinger, called on member states to raise their contributions to between 1.1 and 1.2 percent of the EU's gross national income, compared to the 1.0 percent at present. "With Brexit and other changes upcoming, 1.0 will not be enough," he pointed out. Discussions are likely to be difficult between member states, such as Austria, which wants a smaller budget, and others, such as the Baltic states, which call for an increase. The future of the EU's cohesion policies will also be a bone of contention, with beneficiaries - especially in central and eastern Europe - opposing more political criteria being used as a condition to receive the funds. At their meeting, EU leaders will also discuss the 2019 European elections and, in the particular, the so-called 'Spitzenkandidat' (lead candidate) process, by which the top candidate of the European party that gets the most seats becomes president of the European Commission. 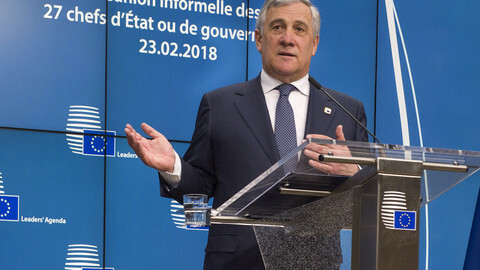 While the commission and the European Parliament support the process, introduced in 2014, heads of state and government would like to keep some control over the nomination of the commission's head. The main political parties - the centre-right EPP, the centre-left PES, the liberal Alde and the leftist GUE - will choose their lead candidate later this year or early next year. Many know, as Juncker pointed out on Wednesday, that the party with the most seats in the EU parliament will have to gather a majority around its candidate, and EU leaders are expected to try to play a role in the process. One of the issues, also raised by Juncker, is what French president Emmanuel Macron intends to do. He won the French presidency with a new centrist party, which has no European affiliation. 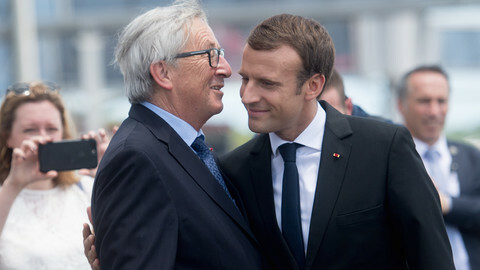 While Macron intends to gather MEPs from all groups around him, other leaders after Juncker are expected to ask him for more clarity on his intentions. The week will start with a Eurogroup on Monday (19 February), where eurozone finance ministers will discuss plans to create a European monetary fund. They will also meet their non-eurozone colleagues to work on proposals to complete the banking union. The Eurogroup will also examine the applications for the position of vice president of the European Central Bank (ECB). The two candidates are the Spanish finance minister, Luis de Guindos, and the governor of the Irish Central Bank, Philipp Lane. De Guindos has been a long-time favourite for the post, but in a hearing at the European Parliament, MEPs from the economic and monetary affairs committee thought that Lane's performance was "more convincing". The appointment of the ECB vice president, replacing Portugal's Vitor Constancio, is being considered a trial-run for the appointment of the next ECB president, in 2019, to replace Mario Draghi. As the eurozone is set to become even more integrated in the coming years, both positions are seen as crucial in how the bloc's policies will be defined. 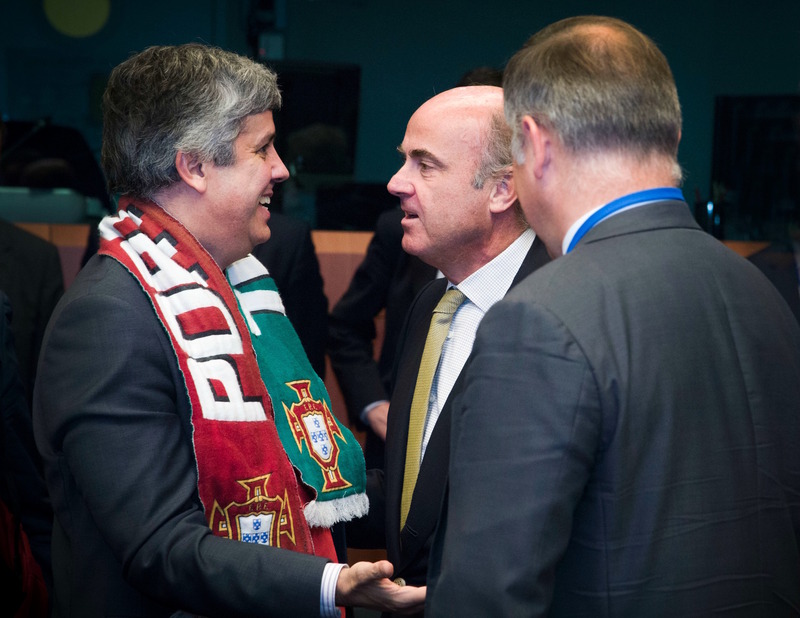 And many believe De Guindos' appointment would pave the way for an ECB chief from Northern Europe, perhaps with more hawkish views on monetary and budgetary policies. Monday's Eurogroup is also likely to agree to the disbursement of €5.7 billion for Greece, after the group said last month that the Greek government had taken all the required measures to close the third review of the bailout programme, launched in 2015. Another important EU issue will be on the agenda this week, when UK prime minister Theresa May gives a speech on "the road to Brexit". The speech, which is expected on Wednesday (21 February), will be followed with great attention in Brussels, where EU chief negotiator Michel Barnier has been calling on the UK government to "make choices" about what it wants after the country has left the EU next year. 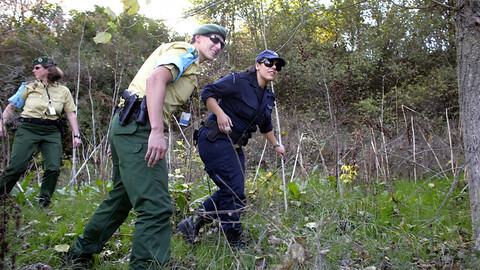 Poland will also be on the agenda, over two separate legal cases on its environment policies. On Tuesday (20 February), the advocate general of the EU Court of Justice will declare his opinion on the logging operations in the Bialowieza forest, a protected primeval forest in Poland. Poland, which says the logging is necessary to fight a bark beetle outbreak, was taken to the court by the European Commission last July. Operations were stopped in November - more than three months after the ECJ had ordered the country to do so until it rules on the case. On Thursday, the ECJ will rule on Poland's continued breaching of EU air quality standards, in a case brought to the court by the European Commission in 2015. On Friday, some 25 heads of state and government will gather in Brussels to raise additional funds for a joint military force in the Sahel region of Africa. The money will go towards the so-called G5 Sahel joint force, composed of troops from Mali, Mauritania, Niger, Burkina Faso and Chad. The European Commission had already given €50 million, but announced last year that more would be needed to finance an effort to boost security throughout the region's border areas. 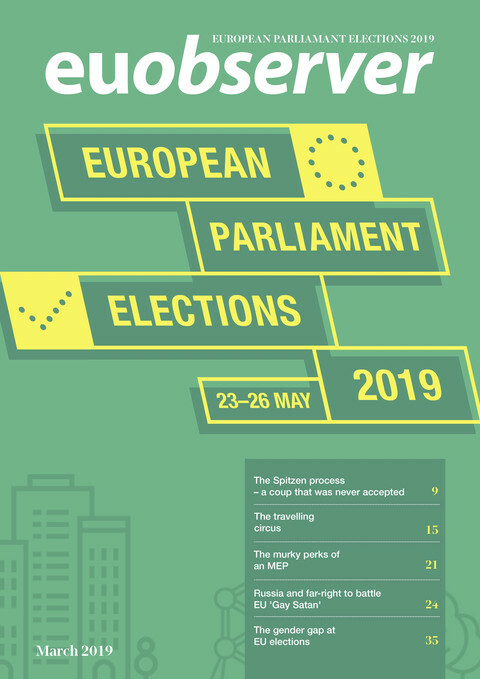 A European Commission paper calls on parties to show their colours before the May 2019 parliament elections, and to choose their successor to Juncker before the end of 2018. The legal text of the Brexit withdrawal agreement and transition is expected to be finalised by 28 February. Joseph Daul, president of the European People's Party - the largest grouping in the European Parliament - sets out his party's priorities for the upcoming seven-year EU budget. Italian general elections, a German coalition in the balance, and the European parliament fighting to get a voice in nominating an EU commission president. This and much more in a week packed with intrigue. 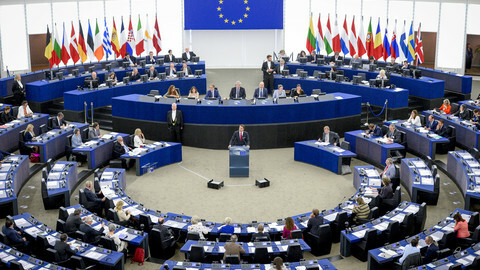 MEPs will gather for the last time this week in Strasbourg before the European elections in May to finalise several bills. Lawmakers will have a Brexit debate and hear from Swedish climate activist Greta Thunberg.